Water leaks and drips from the tap spout outlet. Tap valve washer is damaged. 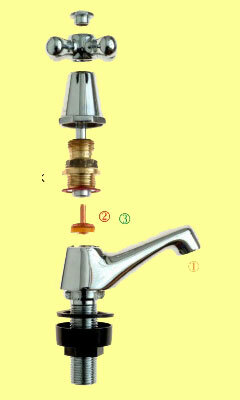 Install a tap valve, for leak free operation.